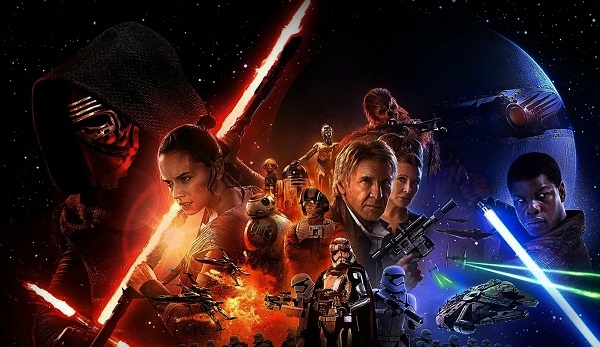 If you want to experience “Star Wars: The Force Awakens” in a totally new way you are in luck. Starting this fall, Star Wars fans around the world, will see a galaxy far, far away up close and in eye-popping 3D through the highly anticipated “Star Wars: The Force Awakens” 3D Collector’s Edition, rolling out beginning Oct. 31 and arriving in the United States and Canada on Nov 15. JJ Watt is known for his intense training. So it is no wonder that he trained with firefighters. 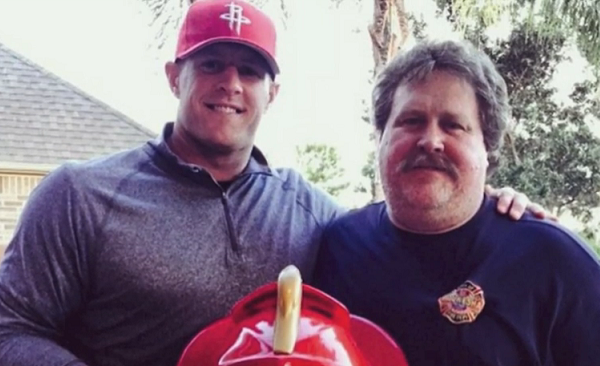 Watt can land a 61-foot box jump, squat 700 pounds and routinely lead the NFL in tackles, but can he make it through firefighter training in the heat? John Watt, retired firefighter, joined his son to help him take in the challenge on behalf of the Gatorade Beat the Heat educational campaign. JJ visited his hometown fire department in Pewaukee, Wisc. and tried the physical and technical training firefighters conduct in order to perform their daily duties which, as JJ points out, offers much greater consequences than he encounters on a NFL field. The Beat the Heat program teaches youth athletes the importance of heat safety and staying hydrated during the hot summer months, which JJ needed to do plenty of as he pulled water hoses, climbed flights of stairs and put out fires – all in 86-degree weather in full firefighter gear that added to his 6-foot-5 289-pound frame. 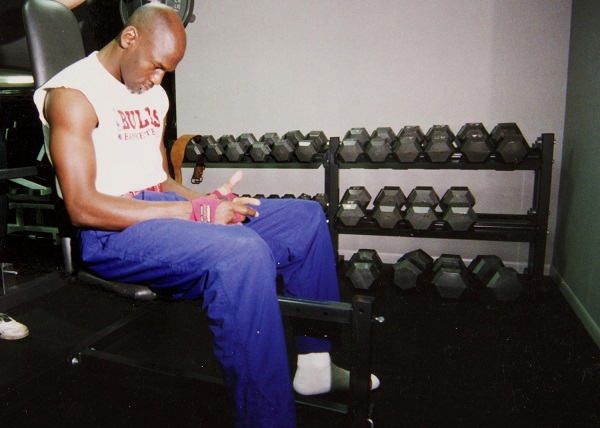 For those who didn’t follow Michael Jordan’s career closely he did have his struggles in the league. To counter those challenges he needed to break down those metaphorical walls that he couldn’t breakthrough. A wall he had to breach in order to achieve his championship dreams. The “Breakfast Club” was the foundation for Michael’s epic six title, six Finals MVP run. The sessions proved to Jordan that the status quo was not enough; if he wanted to be a champion there were extra steps involved. The Jordan Breakfast Club Training experience is built around a 30-day program designed by Alex Molden – Jordan Master Trainer and former pro-athlete. The service platform helps kids improve their speed, strength and reaction skills for the season ahead. After subscribing to the program digitally, athletes will have the opportunity to begin training immediately using the drills and techniques introduced by a collection of Jordan Brand athletes, such as Dez Bryant, Erik Kynard, and Jalen Ramsey. These digital sessions, which will be delivered directly to the athlete through a Jordan Chatbox® execution, are geared toward athletes of all levels. Athletes can pre-register for the Jordan Breakfast Club at Jordan.com/training and will begin receiving workouts on September 6. 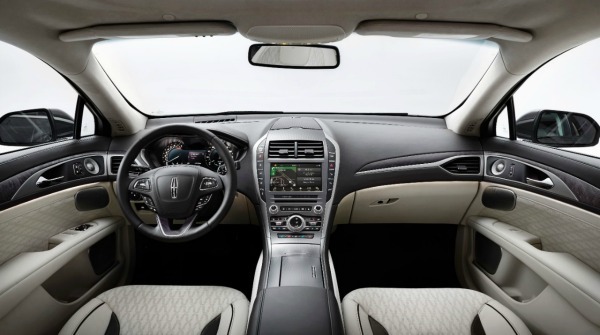 Live experiences will be offered in Chicago, New York, Los Angeles and Toronto as well. Two Hip-Hop stars were hanging out in Harlem in New York for the Reebok Classic. 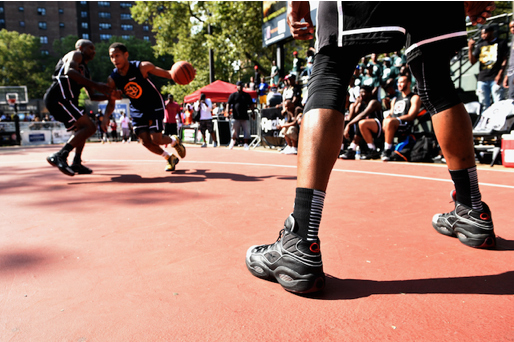 They were there checking out the games at the famed Rucker Park for the Entertainment Basketball Classic to launch the Question Mid EBC and A5 sneakers as part of the iconic Question Mid’s 20th anniversary this year. 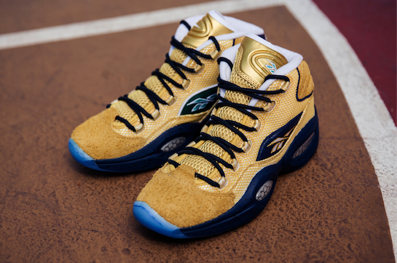 Cam’ron was on site to support the Question Mid EBC, which was inspired by Allen Iverson’s first appearance at Rucker Park in 1996. Jadakiss was supporting the new Question Mid A5 sneaker, which was inspired by the original Answer V sneaker in 2001 where Jadakiss starred in the now famous Reebok commercial in 2001 when he rapped alongside Allen Iverson. Jahlil Beats as well as Sway Calloway were also on-site to support the Question Mid launches. 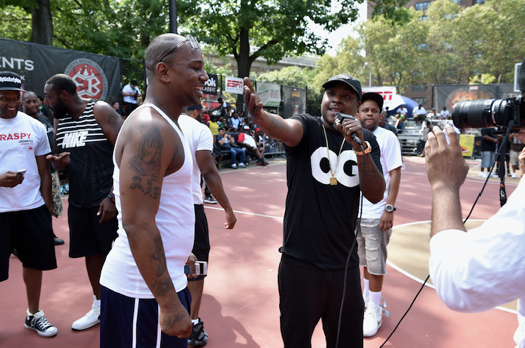 Cam’ron and Jadakiss met with a heated throng of fans on site and watched the All-Star EBC game from the sidelines where one team wore the Question Mid A5 and the other wore the EBC style for a true head-to-head matchup. The Olympic Games were never the same since the 1992 Dream Team took the world by storm. The team was lead in part by Michael Jordan. 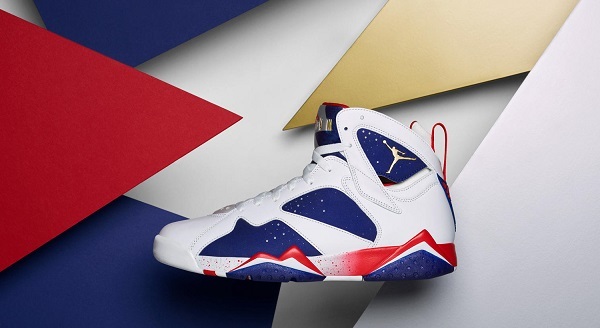 So as we approach this year’s Summer Olympics, Jordan Brand brings out something from the archives of Jordan lore. 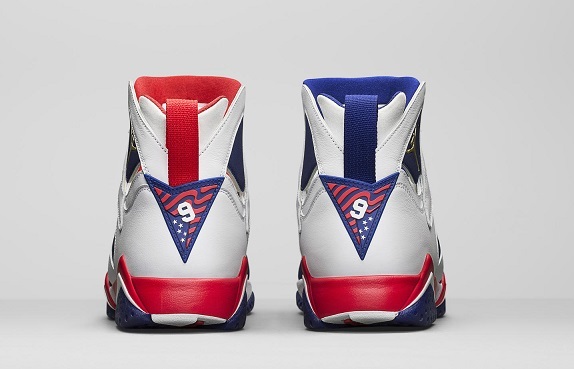 1992’s Air Jordan VII is emblematic of this truth. Jordan won his third MVP award, took his second title and claimed a second gold medal in the shoe. With its design, Tinker Hatfield initiated some firsts: removing the Nike Air branding visible on the previous six Jordan models and adding a neoprene Huarache bootie for support. Hatfield also sought to add a new, more international flare to the line through the incorporation of a fresh geometric pattern inspired by a poster for the long-running Afropop Worldwide radio program. Jordan selected the white-based version. The alternate was relegated to the archives until now. The Air Jordan VII Retro “Tinker Alternate” will be available in full family sizing on August 6. 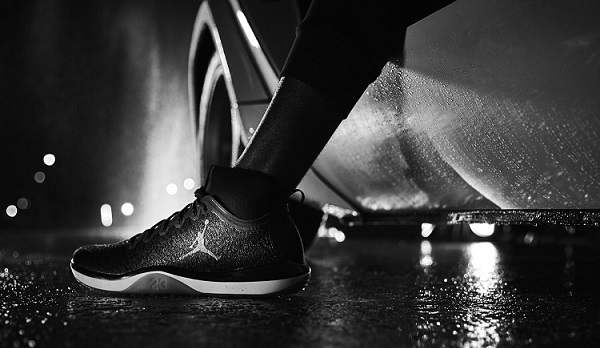 Stay tuned to Nike News and @Jumpman23 on Instagram and Twitter for more information on Jordan Brand product launches. Even though J.J. Watt might be recovering from injury it didn’t stop him and Reebok on releasing a brand new can’t-miss colorway of his first signature training shoe – the JJ I Preseason Training. The navy, red and white colorway serves as a nod to those who inspire him both on and off the field – his teammates and fans. J.J. gifted all of his teammates new pairs of JJ I’s. As he continues to push his limits, the JJ I Preseason Training will be there every step, cut, and jump of the way. The JJ I Preseason Training will be available at 12am on August 5 for $99. First it was Michigan getting Jim Harbaugh to be their head coach for football. 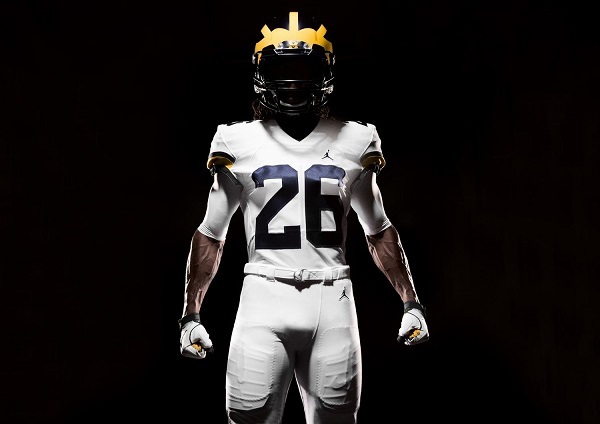 Now it is Michigan teaming up with Jordan Brand to upgrade their uniforms and gear. The University of Michigan is more than just a school. It is a community and family represented by a single letter, two hues: Maize and Blue, and a longstanding tradition of excellence — a reputation of leading both academically and athletically. On the gridiron, Michigan has, since fielding its first team in 1871, claimed more victories than any other school. The university also lays claim to 11 national championships, over 120 first-team all-Americans and three Heisman trophy winners, including Jordan Brand athlete Charles Woodson. Beyond, the program’s Winged Helmet, introduced in 1938, and remains an icon of college football. Similarly, the Jordan Brand is more than one man. For over 30 years, Jordan Brand has built a culture by pushing the boundaries of innovation and style; the Jumpman logo has come to represent greatness and unites athletes around the world who are willing to push their limits to be the best. This fall, that legacy will continue to transcend sport as the Michigan football team debuts the iconic Jumpman on the gridiron. The Michigan jersey, built on the Nike Vapor Untouchable chasse, features a minimal-seam design and stretch woven materials. Focusing on fit, range of motion and breathability, the jersey includes tailored lines that are articulated to move with the body and laser perforations in the front and back panels to maximize ventilation. Additionally, taking into account the importance of preparation to success, Jordan Brand will outfit the team with the Jordan Trainer 1 Low. Created by Jordan footwear designers to help eliminate distractions on the practice field and in the weight room, the shoe enhances natural motion, comfort and increased sensory feedback. Speed flex technology in the midsole, Zoom Air in the heel and a Flyweave woven upper facilitate stability and support. 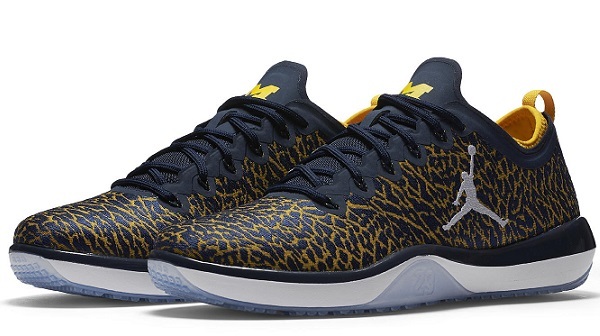 The Jordan Trainer 1 low “Michigan” will be available August 6 on Jordan.com and at The M Den, the official retailer of Michigan Athletics. Stay tuned to Jordan.com and GoBlueHailMichigan.com for more information on the Michigan x Jordan partnership. There are certain fashion trends that are a headscratcher. You look at the latest trends and wonder who would wear that. Still there are fashion trends that stand the test of time. So with that notion I.W. Harper has long been immersed in style. 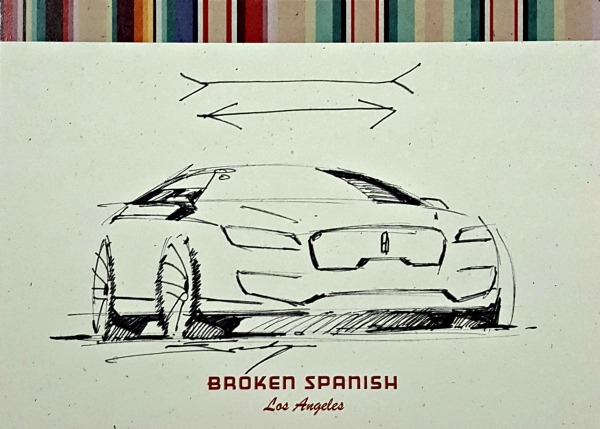 Following the brand’s return to the U.S. last year after more than 30 years abroad, I.W. Harper has renewed their love of fashion. They teamed up with their friends at Goorin Bros. to create a hat spotlighting our iconic Bowing Man on the interior, complete with a whiskey colored hat band. Inspired by I.W. Harper’s stylish roots and dapper present, The Harper will launch this Holiday season and be available at Goorin Bros. locations nationwide and at www.Goorin.com. So for those of you who are 21 years of age or older why not pick up a bottle of I.W. 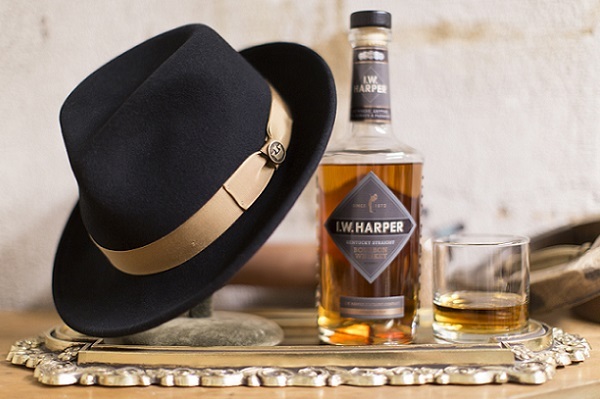 Harper Whiskey and get a stylish hat from the Goorin Bros.